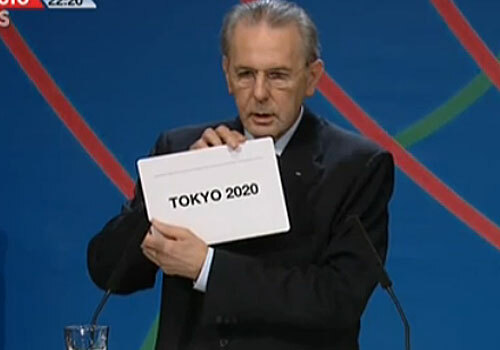 Tokyo will host the 2020 Olympics! Twitter in Spain is burning!!! People hate this fact, but I think that our country has big problems (corruption, unemployment, debt). They joy of winning wouldnt solve the corruption of the political parties, or the abuse of the banks. Spain media is complaining about the radiation in Tokio but hey! look over here: frequent strikes, bad infraestructures, we dont have sea (that counts lol), our politican have a grievous level of english... (i felt embarrases when they talked to the world some hours ago). And thats all, have a nice weekend!! Grate to Tokyo man. Thus us summer Olympics yes? Well, from the Atomic Bomb.. WORLD WAR 2. That's my guess. Someone correct me, I'm too lazy to google. They're still radiated from that? Anyways, England did an interesting feat when they hosted the previous Olympics. I forgot which year that was .. 2012? 2009? .. I have no idea. 08 was Beijing and they are held every four years. Also radiation has a half life of decades to centuries long, stuff takes forever to dissapate.